The context of the above scripture: King Solomon had died. Before his exit, however, he had loaded the people down with oppressive taxes and burdens. They wanted some relief. His heir, Rehoboam, asked his father's counselors what to do. They advised compassion. He, instead, listened to his arrogant friends, and the kingdom was subsequently divided. 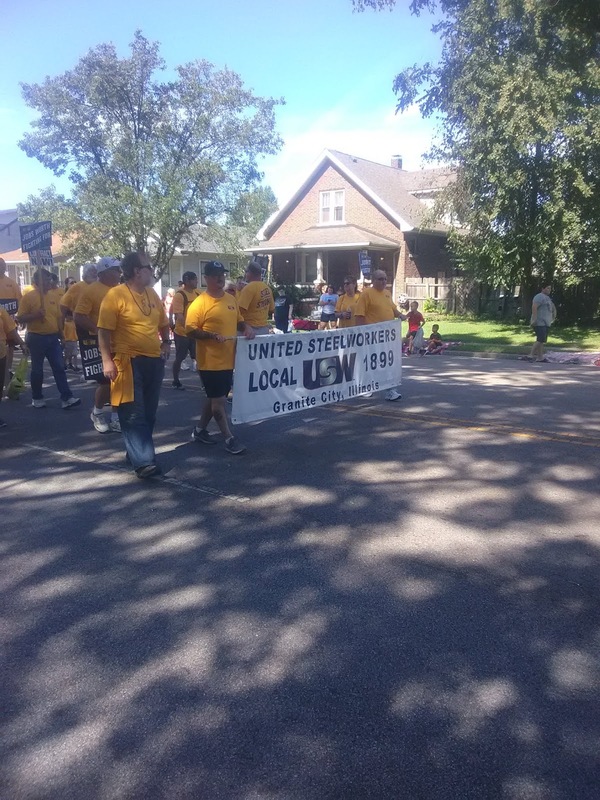 Of course, there's more to the story, but it came to mind upon hearing of the offer from the "rulers" in Pittsburgh who have answered the USW's (United Steelworkers) request for a fair contract with something that is ridiculous, insulting, and unthinkable. I have no doubt that if the offer is unchanged the "people" (workers) will strike and the kingdom of U.S.Steel will be divided (for a time, anyway). I'll not over-expound, but I would like to express my amazement and curiosity at these recent events. Amazement: it was but a short time ago when we had a presidential visit where said chief executive highlighted how the steel industry has come back to life. 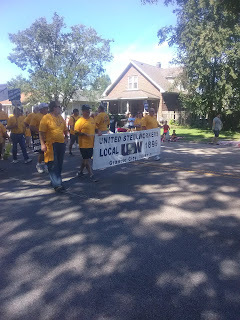 Indeed, the facility where I work was, not long before, on life-support and now (then) grateful returning steelworkers were once again bringing home a living wage. The community rejoiced. Workers rejoiced. And it appeared that the leaders of the industry also rejoiced, and oh, it would have been such a simple thing to add to the "feel good" future of labor and management by the acceptance of a contract that mirrored the last one, with just a slight sweetening of a long overdue pay raise. But, instead of the no-brainer decision (especially given the profit margin of the players) there now seems to be an attempt by the company(s) to punish, break, and irreparably wound and weaken current workers, new-hires, and even retirees. Perhaps such rhetoric is (was) supposed to cause fear, resulting in submission. But, instead it has galvanized the many to stand in opposition. And, sadly, what was an environment that was ripe to birth a new partnership based on mutual respect and a common goal, it is now quickly devolving (at least on labor's part) to an atmosphere of toxic suspicion and even abject hatred. And now, curiosity: Given that the last contract--when things were bleak and the future uncertain--given that even THAT agreement had elements of compassion (and we were, quite frankly, glad to get it!) I truly wonder what has happened since then to cause such an odious offering to be produced this go round? Is it new upper management? Outside consulting? I don't know. But I DO know that the battle-lines are being drawn, and that the hearts and will of the many are being steeled in order to fight for our families and future. How sad, it all could have been so easily avoided.